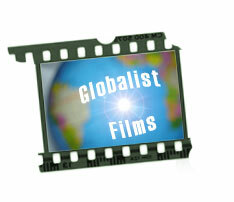 Globalist Films was formed in 2005, as a one-person, independent production company, eschewing the trend toward media consolidation and ratings-influenced journalistic sensationalism. The result has been award-winning, lucid, engaging, and unbiased stories, driven by an uncompromising and fierce independence. The founder of Globalist Films, Peter Musurlian (born December 12, 1961) is an American independent documentary filmmaker, known for his [mostly solo] short-form and long-form stories, videos, and documentaries, which he shoots, writes, narrates, and edits. He has a substantial body of pro bono work, as well as award-winning documentaries, that have been seen on Los Angeles television, including: Historic Armenia, Burbank’s African Sister City, Holocaust Soliloquy, The 100-Year-Old Survivor, and The Long Journey from the NFL to Armenia. His entire catalog can be reviewed on this website. After airing on television, Musurlian makes most of his films available, free of charge, on YouTube. 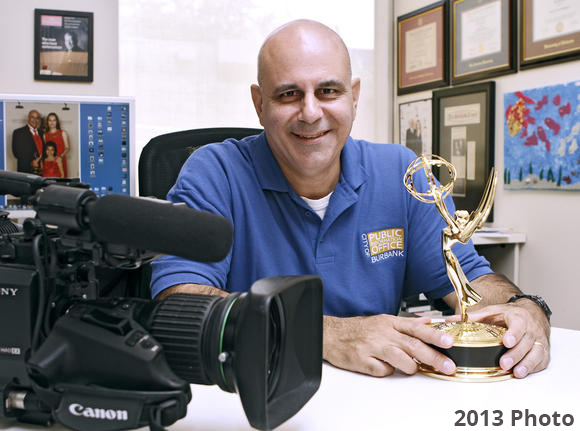 Musurlian has won two Los Angeles Area Emmys. He has also garnered, since 1999, nine Los Angeles Area Emmy nominations, as well as 24 Golden Mikes, awarded by the Radio & Television News Association of Southern California. Additionally, he has been nominated six times for his documentary work by the Los Angeles Press Club, which recognizes journalistic excellence in the second largest media market in the USA. Musurlian was born in Racine, Wisconsin and raised in North Torrance, California. He’s the son of a Wisconsin-born aerospace-industry draftsman [John Musurlian, 1930-1998] and Istanbul-born nurse and mother of four [Araksi Bedrosyan, 1930-1998]. Musurlian’s grandparents survived the Armenian Genocide of 1915 to 1923, which was successfully executed by the Turkish government, killing more than 1.5 million, while another half million scattered around the globe, creating (some 100 years later) a large and vibrant Armenian Diaspora. Musurlian began his journalism career writing for his high school newspaper and serving as editor in chief of his community college newspaper. He has a bachelor’s degree from the University of Southern California in Broadcast Journalism & Political Science, as well as master’s degrees from Baylor University (Political Science), American University (Journalism & Public Affairs) and the University of Redlands (Management). The U.S. Army veteran spent almost a year in Central Europe, from 1997 to 1998, reporting for Armed Forces Network television. His journalism career has also taken him to television stations in Montana, Texas, Burbank, and Washington, D.C. In 1988, he produced “John McLaughlin’s One on One,” a D.C.-based interview program seen on more than 100 PBS stations. While serving in the U.S. Army in Hungary in 1998, Musurlian married the former Szilvia Eva Gadanyi. They are raising their only child together, June Petra Musurlian, who was born in December 2004.